I've had this story on the back burner for a while now, things in the War Memorial department have been moving on apace and the preparation for my Open University exam was very intense leaving very little time for anything else much. You will be pleased, I hope, to hear that I passed my exam. I wasn't terribly pleased with my mark until I realised that most of the people who chat on the module Facebook page (A327 - Europe 1914-1989; War, Peace, Modernity) had been marked so hard that the exam moderators had found it necessary to bump us up a grade. Hmmm. It was a brand new module, first time out, so I hope that the students next year will gain the benefit of our experiences and that some aspects of the course will be amended for the better. 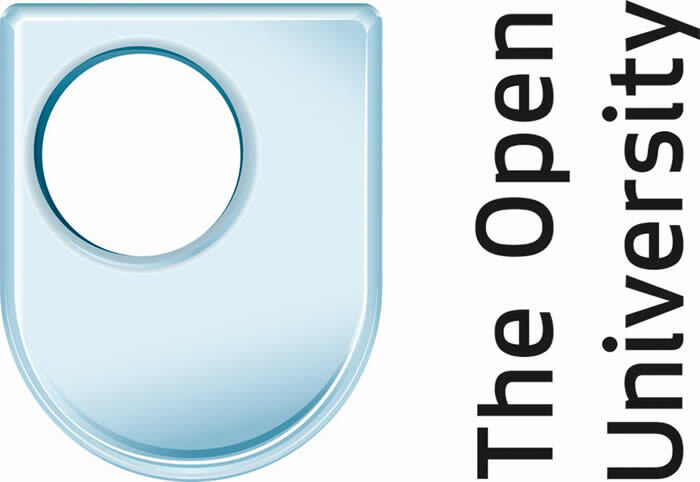 After a phone call to the Open Uni I was offered a BA (Hons) Humanities with History, Upper Second Class which I was pleased about as having a degree with the word History in title makes me more assured about calling myself a historian after all these years. My first degree in 2000 was a BA (Hons) Open, in other words composed of modules that did not fit the requirements for any particular degree, in fact half the credit for that degree came from my Radiography Diploma - so it was actually a degree in Radiography and History! I still have some modules 'left over' that I haven't been able to count towards a final qualification (a couple of level 2 statistics modules, a level 1 maths and a level 1 computing module) but now that the cost of modules at the OU has increased so much, see my previous posts for more on this, there is no chance of me doing other study. On to today's Soldier's Story - the subject is vaguely related to me - very vaguely! Charles Eric Hemmerde was great great-nephew of Eliza Hemmerde who was the wife of Thomas Wilson Elstob who was my first cousin five times removed. So there! Charles Eric was born in Lewisham in the final quarter of 1896, the son of Charles Louis Hemmerde, a Stock Broker, and his wife Maud. He was their eldest child and had a younger sister Audrey and, according to the 1911 census another sibling who died young. He was not living at home in 1911, he was boarding at Chipping Ongar Grammar School, aged 14. Charles has three medal index cards - something I haven't come across before, but then not many of my Barnsley men are officers! As you can see above there is a LOT of information on there. The first fact I notice is that he entered a theatre of war - that is went overseas - on 15 August 1914. Given that his birthday falls in either October, November or December 1896 he can't have been 18 years old at this point. So our first clue to the nature of the man is that he somehow volunteered at the very beginning of the war, as an enlisted man, a Gunner in the Royal Horse Artillery, and managed to be sent to France at the age of 17 years. One theory is that he was part of a school cadet corps but that doesn't explain how he was allowed to go overseas under the then minimum age of 19 years. On 8 February 1916 he is commissioned as a Second Lieutenant in the Queen's Own Royal West Kent Regiment. This is reported in the London Gazette, see left. I make him 19 years and a few months old. It is difficult for me to imagine these very young men being officers, but I suppose it was a common enough story. Many of the young officers in the First World War seem to have had little or no experience when they were sent overseas, at least Charles had those 18 months as an enlisted man (I note that his medal card has him down as a Corporal) to back him up. 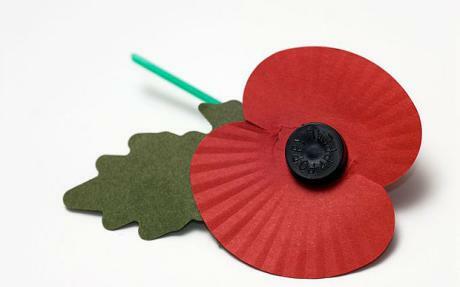 I am unable to access Charles' Service Records - well, that's not quite true - I could if I choose to pay extra for them. This is because he became an officer, so his enlisted man's records would have been transferred to another part of the records system which hasn't been released on Ancestry or Find My Past. They are available here from the National Archives - but I don't know how much they'd be as they are not downloadable and you have to contact them for an estimate. If I get a reply before I've finished this post I'll let you know the cost! 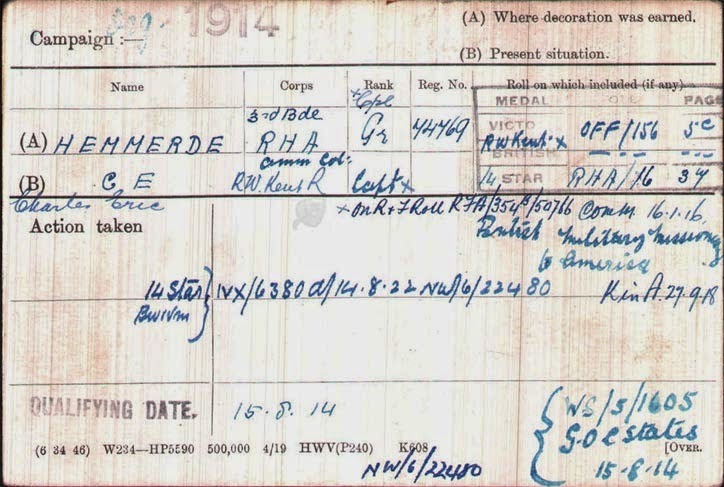 Another of Charles' Medal Cards states that he was "Mentioned in Dispatches" and that this was listed in the London Gazette in May 1917. I have also found a note that Charles won the Military Cross and that this award was listed in the London Gazette on 18 July 1917. This was for "For conspicuous gallantry and devotion to duty in personally reconnoitring an obscure situation under heavy shell and machine gun fire in order to ascertain the whereabouts of our advanced troops. The valuable information which this gallant action afforded enabled our artillery to give closer support to the infantry, whose attack had been held up." I find the London Gazette harder to search these days, but with this huge clue I did manage to find the reference - which was listed, oddly, under 17 July 1917 instead. The next news I have of Charles is that he was posted on a military mission to America and turns up there in January 1918. 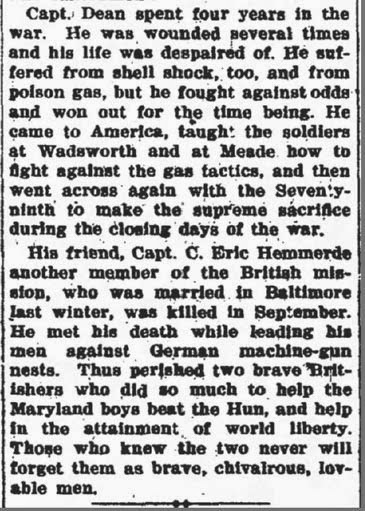 The newspaper snip on the right comes from a much longer piece that describes the night manoeuvres being practised by the American soldiers being trained by Captain (he's had a promotion) Hemmerde and his colleagues. Another London Gazette entry on 11 February 1918 states that Charles is to have a temporary promotion to Captain while employed with a British Military Mission, so that was reported a little bit late! I'm guessing he must have been in America a while for him to manage to get himself engaged to be married! He is 21 years old. The newspaper reports of his wedding seem a little confused about who Emily Mauritzen (the spelling of both her names vary from piece to piece too) actually is and where she lived before the wedding. One piece dramatically describes her braving U-boats on the crossing from Copenhagen to make the wedding in New York. I have found Emilie in the Ellis Island records arriving in America on the SS Pretoria in 1913, planning to stay with her uncle Peter Mauritzen in New York. Of course she might have visited home in Denmark again between then and 1918. She appears in the New York State census in 1915 as Emilia Mauritzen aged 19 years, the niece of the head of household. A report on the wedding appears in the Washington Post on 18 January 1918 stating that the marriage had taken place the previous afternoon, so there is some discrepancy in the date of the marriage as the piece above had said the wedding was to be 19 January. Charles' best man was Captain Paul Rochat of the French Army and officers forming a double line with crossed swords as the bride and groom left the church included Major F H Liebenrood, Captain J R Ralli, Captain J P O'Donovan, Captain J P Pringle and Captain R D Green all of the British Army and Captain Count F de Casteja, Captain Pierre Lantx, Lieutenant Jacques Raffray and Lieutenant Alcide Martineau of the French Army. Charles is still in America in March, a piece in the Washington Post describes how he is training the men in the use of periscopes with rifles for snipers. Men so equipped were "getting a high average of hits on an imitation German loophole at 100 yards. The objective was only three inches wide by about twelve inches long." Washington Post 5 March 1918. It is difficult to say when Charles returns to France, however we do know that he is Killed in Action on 27 September 1918. He had been married just eight months. I could not find a cutting reporting his death but just a couple of months later he is mentioned in a piece about the death of a friend. It describes a little more about the training the British contingent were carrying out in America, Captain Dean taught soldiers "how to fight against gas tactics". 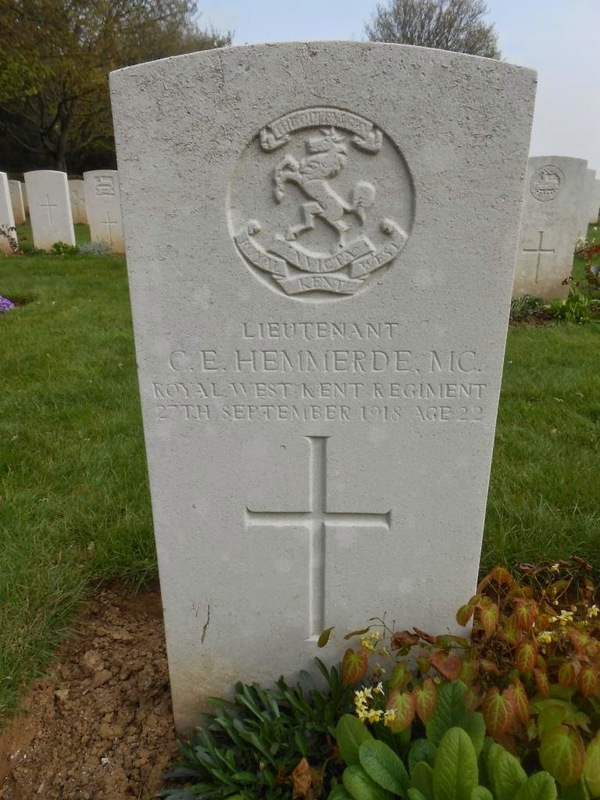 The article states that Captain Charles E Hemmerde "met his death while leading his men against German machine-gun nests" and acknowledges him and Captain Dean as brave, chivalrous and loveable men. That description sounds a little odd to me, but it sounds as if the young men must have endeared themselves to more than just a few during their tour of duty in America. Charles' young widow Emilie (or Emily or Emilia) is found again in the Ellis Island records in March 1920 returning to New York from London, England on the RMS Mauretania. She is now aged 23 years and 4 months (very precise!). 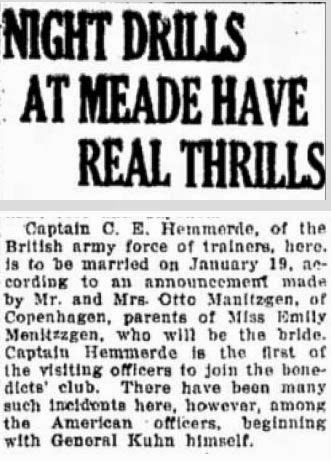 Emilie Hemmerde marries again in the third quarter of 1926 in the Chelsea Registration district. Her new husband is Harold Sims, who is employed in some capacity by the British government. A book called "Desperate Deception: British Covert Operations in the United States, 1939-44" by Thomas E Mahl, gives an interesting description of the woman now known as Mitzi Sims. "[she is] always the center of an animated group at any event she attends. An exceptionally good conversationalist, she is one of the few social notables in Washington who never need to rely on the weather as a topic of repartee." The newspaper cutting on the right claims that Harold Sims was a friend of the Duke of Windsor and that in 1937 he was an attaché of the British embassy. Charles lies beneath a Commonwealth War Graves Commission headstone in Gouzeaucourt New British Cemetery in France. New documents released by the CWGC show that his body was exhumed from its original location and 'concentrated' into this cemetery. There had been a cross on his grave prior to its relocation which I imagine looked like the one I recently saw in Darfield Church which had stood over the local vicar's son. Charles' age is given as 22 years - but we know his birth wasn't registered until the final quarter of the year, so unless he was born at the very end of September 1896 and a slight delay in registration caused that event to be recorded in the last quarter instead of the third I suspect that he was actually only 21 years old when he died, and he had been at war for over four of those years. He had been Mentioned in Dispatches, won the Military Cross, had been sent on a British Military Mission to America to train soldiers over there and had been married for just eight months when he died. What a life, what a short but very full life. There isn't a discrepancy between the medal card and the promotion notice. The RA calls a Corporal "Bombardier"
I learn something new everyday ... I sort of presumed/guessed that might be the case but didn't nip off to Google check it out. Thanks for that Tony! While I'm here - for the people who don't see my posts on Facebook - the cost of buying a copy of Charles Eric Hemmerde's records from the National Archives was estimated at £193, so I won't be sending for them! Shame, but maybe they'll turn up online in a few more years at a more reasonable price.